Despite your current challenges, obstacles or loss, I believe you already have the inner strength, resources and abilities to have the life you want. I invite you to discover what you may need to change or accept in order to heal and grow. It takes courage and hard work to address issues in therapy. I am extremely passionate about my role in creating a safe and protective space for clients to gain insight, achieve goals, deepen their love for themselves and improve relationships. I specialize in working with adolescents/adults dealing with chronic-long term illness, grief/loss, infertility, anxiety, depression, and relationship issues. My sense of humor, relaxed presence, creative exploration and sincere interest make it easy for me to connect with people of all ages and backgrounds. I received my Master's of Art in Professional Counseling from Chapman University in 2002. I am licensed by the Arizona Board of Behavioral Health. I a Certified EMDR Therapist, Certified Trauma Professional and Grief Recovery Specialist. 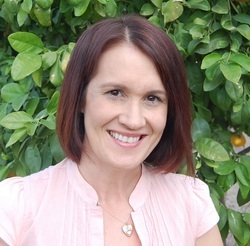 My experience includes working at Hospice of the Valley, as a bereavement counselor, and at Cancer Support Community, as a Group Facilitator, for cancer survivors and their families. I am also a cancer survivor and have dealt with my own fertility issues. I feel this allows me to have a deeper understanding and sensitivity, while respecting each individual's journey and process. I include brief solution-focused, cognitive behavioral, client centered and mindfulness based therapies in my practice, using a holistic approach which focuses on the mind-body connection. In my initial phone contact with clients, I ask them if they have any questions for me. Many respond they are unsure what to ask, especially if they are new to therapy. Here are a few questions my clients have asked me, along with my answers. What do you like most about your job? I love witnessing individuals experience that 'ah-ha" moment where real change and healing begins. I am also grateful for the experience to witness the resiliency among individuals and families I work with in counseling. I am inspired every day! What is your greatest strength? I am able to connect quickly to people of all ages and backgrounds because I start where they are at. I also believe it is my responsibility to learn from each of my clients what will best help them achieve their goals. However, If someone is unsure of the goals they want to address in therapy, I am very good at using creative exploration to bring the issues to surface and develop a plan of action for treatment. Another strength I possess is the sincere belief people can change and heal past issues and trauma, regardless of how long they have been dealing with them. I know change is possible because I have personally benefited from the hard work that takes place from facing those 'dark' spaces which hold fear, anger, grief, and vulnerability. The benefit of this hard work creates a more peaceful, authentic self and the opportunity to experience pure, unrestrained JOY. I not only believe that my clients can live a more fulfilled, healed, and balanced life. I believe this is what they DESERVE! Do you do any sort of continuing education to stay up on the latest developments in your field? I actually enjoy learning about the latest development, strategies and research in my field. I consider learning as one of my hobbies. I also started a small therapy networking group. I believe it is extremely beneficial to get support and consult with peers, whom I respect and trust. Peer consultation provides high quality-ethical counseling. If you were a client, what do you wish you knew about your trade? Any inside secrets to share? 1. It is so very important to interview a therapist before beginning sessions with them. Healing is achieved best in a supportive, understanding and non-judgmental environment. I know I am a good therapist but I may not be the best therapist for each person that contacts me. You want to feel confident that the therapist is a 'good fit' before investing time, money and emotion. Research indicates that clients achieve the highest success in therapy when they have a supportive and understanding relationship with their therapist. 2. When seeking a therapist, consider seeing someone that has experience or specializes in the issues you want to address in therapy. Consider this analogy: When diagnosed with cancer, you wouldn't want to go to a dermatologist for recommendations and treatment. You would want to consult an oncologist, a specialist, who has experience and trained in that specific diagnosis of cancer. This holds true with a therapist as well. You will find therapy is more efficient and validating when you work with a therapist, who has experience, understanding, and training in your particular presenting issues. 4. If you are unsure the therapist you picked is the right fit for you, try at least 2-3 sessions to build rapport and address your concerns directly with them (most therapists, including myself, welcome your feedback. It actually makes therapy more efficient and productive). If you determine, they are not a good fit for you, ask them for assistance in a referral. Again, most therapists want to support you and provide the best care you deserve, even if that means referring you to another therapist. What questions do customers most commonly ask you? What's your answer? "Will I ever feel better"? My answer to them is, "YES! It may take some time but the strengths and resources are already within you. Let's get to work and shine light on them"!